It’s before dawn in Houston, Texas and MST Therapist Jennifer Cottingham-Lane is up packing lunches for her children and preparing for another long day. Jennifer doesn’t even get one day a week to sleep in. Most nights, she goes to bed with her phone’s volume turned way up, just in case one of her MST families needs her. 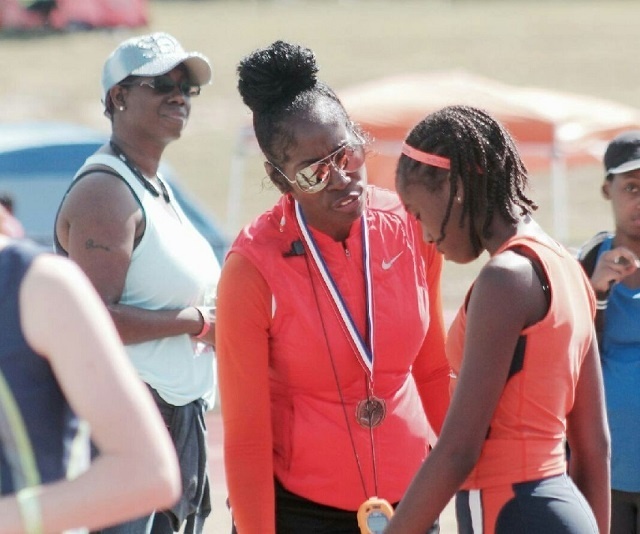 A single mom with two children of her own and a former college athlete, Jennifer coaches 8-10 year olds in track. Her kids run track and play baseball and somehow she manages to fit it all in, even though it means seeing her MST families on the weekends, early in the morning, or in the evenings. Jennifer is a master juggler. She has to be. When her own mother suffered a stroke last year, Jennifer became her caretaker as well. They say that motherhood doesn’t come with vacation days and Jennifer knows that first hand. She is a caregiver extraordinaire of her own children and her mother. She teaches these skills to her MST families so they to can become the best parents they can be. On Mother’s Day we celebrate moms—their strength and dedication to the people they love and their efforts to raise children who will make the world a better place. I read a book on parenting recently and the introduction put the purpose of motherhood into such clear focus for me. It said: “You have been handed a piece of history in advance, a gracious gift you send to a time you will not see.” Jennifer and countless other MST therapists embody these words every day, working hard to support the families they see and setting an example for their children. Jennifer’s story challenges all of us to keep going; and is a reminder of why we do what we do. Happy Mother’s Day to everyone out there doing whatever it takes to be a great mom.